Marita Valdizan is a mother, awarded artist, jewelry designer and teacher from Peru. She studied arts in Peru and has been developing different techniques using a crochet hook and wire to create sculptural and multi-functional wearable art and mixed media. Eight years ago, she learned Peruvian stitch wire crochet technique directly from the Peruvian artist Juan Pacheco, creator of the technique used wire and crochet hook. 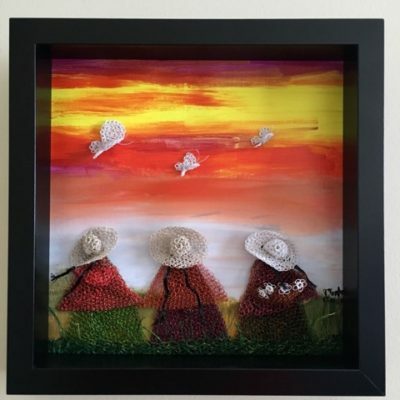 Inspired by the monumental work done by her teacher, she implements other variations to the same technique using different sizes of crochet hook and qualities and thickness of colored wires. Actually she is working to create a new Mixed Media Wire Crochet Technique. 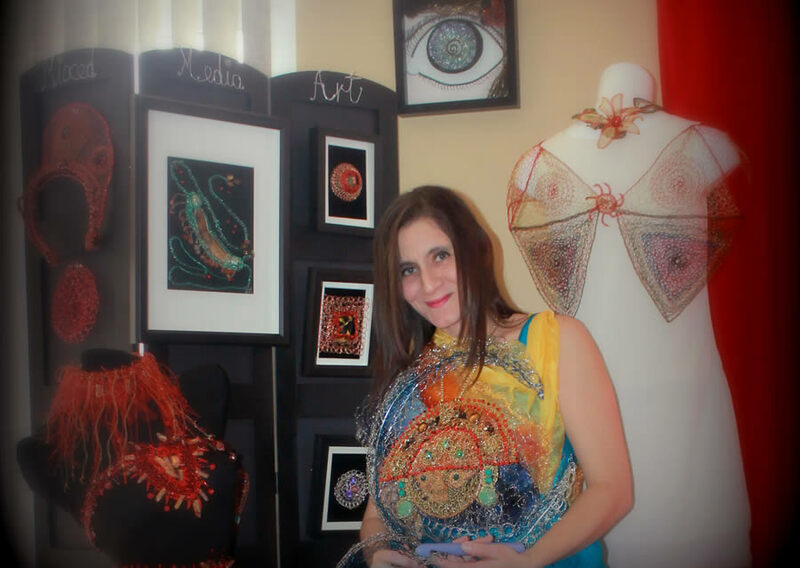 Marita began her professional teaching arts and crafts in Peru and now she is currently teaching Metal Crochet classes at Naperville Art League. The particular thing about her classes is that she motivates her students to be a designers of their own designs. “I really enjoy seeing the work of those who learned with me. I usually keep in contact with my students after classes have ended and being able to see their creative growth gives me great joy”. Marita’s art has been displayed in Peru, Puerto Rico, Wisconsin, Tennessee. 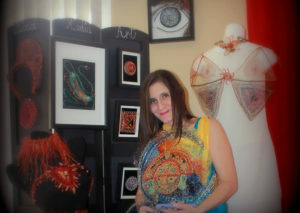 Now she presents her art work locally in Aurora, Naperville,, Wheaton and West Chicago. Marita and her family reside in Naperville, IL. Marita values center around family, art, and giving back to the community that she lives in and giving back the community that she lives in and enjoy so much. Marita is a current member of Naperville Art League, Dupage Art League and Gallery 200 in West Chicago.